Beavers may be our most important partner in protecting and restoring western streams and watersheds. By building temporary dams on small streams, beavers slow down rainwater runoff and snowmelt. This replenishes groundwater and provides essential streamflows during the dry months in late summer and fall to sustain fish, wildlife and many human needs. It’s likely that North America was once home to 100-200 million beavers, who literally shaped the landscape in which they lived. Intensive trapping starting in the 1700s reduced these numbers dramatically, and today there are only about 10-15 million beavers in this historic range. As described in a recent story in National Wildlife magazine, attitudes toward beavers are changing, as evidenced by a growing number of river restoration projects that include human-built structures mimicking beaver activity, as well as reintroduction of beavers to some portions of their historic habitat. Expanding beaver habitat is good for our rivers and an essential component of building cost‐effective, durable watershed resilience in a warming West. There’s even evidence that beaver activity can reduce nitrogen levels in river systems–potentially helping to address a major source of water pollution in areas with heavy agricultural runoff. While we often think of beavers as mountain animals, their range extended far onto the plains. Today biologists seeking to recover the Greater Sage-Grouse are installing beaver mimicry structures in order to restore wet, green places that benefit the sage-grouse and other wildlife on the sagebrush steppe. 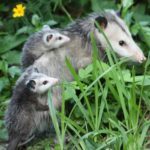 The National Wildlife Federation is working with diverse partners to build acceptance of beavers and to restore beaver habitat and beaver populations for the benefit of fish, wildlife and people. In cooperation with Clark Fork Coalition and with support from the Montana Wildlife Federation, the Lolo National Forest, Montana Department of Fish, Wildlife and Parks, The Nature Conservancy and the Wildlife Conservation Society, NWF organized and hosted a workshop titled Riparian Restoration in Western Montana: The Role of Beavers in October 2017. Leading up to this event, we promoted the benefits of beaver activity through a variety of outreach activities with our partners. NWF’s Regional Wildlife Biologist Andrew Jakes shared his expertise about beavers in an interview and at a public event that drew an overflow crowd at a Missoula brewery. The day-long workshop featured presentations by a range of both academic and field experts on the use of beavers and beaver mimicry structures to restore riparian areas on degraded tributary streams, recharge aquifers and improve late-season streamflows. Researchers addressed fishery biologists’ concerns about the impacts that beavers have on stream temperature and fish passage. The takeaways? Beaver structures actually lower stream temperatures by holding water underground; and native fish are well adapted to navigate through beaver dams. The workshop also included lively dialogue and discussion among federal and state fish, wildlife and land managers, trappers, private landowners, conservation partners like Trout Unlimited, the Montana Watershed Coordination Council, and other local and regional groups around the benefits of and barriers to beaver expansion in Montana. The workshop was followed by a day-long field trip to the Upper Blackfoot River Valley to observe functioning beaver dams on private land and learn first-hand about strategies for managing beaver activity in conjunction with other land uses. Landowner Paul Roos engaged participants in dialogue about his efforts to work with beavers to restore incised streams and improve fisheries and riparian habitat on his ranch. Expert Amy Chadwick described factors she considers when planning and installing beaver mimicry structures. In this video, Wyoming Game and Fish filmed installation of beaver mimicry structure on private land using techniques learned in a workshop sponsored by the Sage Grouse Initiative. All materials were sourced nearby, and the volunteer crew took about five hours to complete the project. Installation of beaver mimicry structures (also known as beaver dam analogues or BDAs) helps raise water tables and enhance vegetation by “getting in the way of water,” in he words of Jeff Burrell of the Wildlife Conservation Society. Often beavers will repopulate an area with such structures and take over maintenance. With or without beavers, these simple methods provide immediate and lasting benefit to riparian habitat. Thanks to Jeremy Maestas (Natural Resources Conservation Service) for sharing this example. NWF is committed to expanding beaver habitat and beaver population numbers in close cooperation with partners including those gathered for this event. Follow-up activities will include public education and outreach, on-the-ground demonstration projects and sharing lessons of successful beaver restoration in other western states. NWF will be an advocate for management practices that recognize and help recover the beaver as an essential part of the western landscape. Stay tuned and sign up now for more information on beavers–our valued watershed partner! 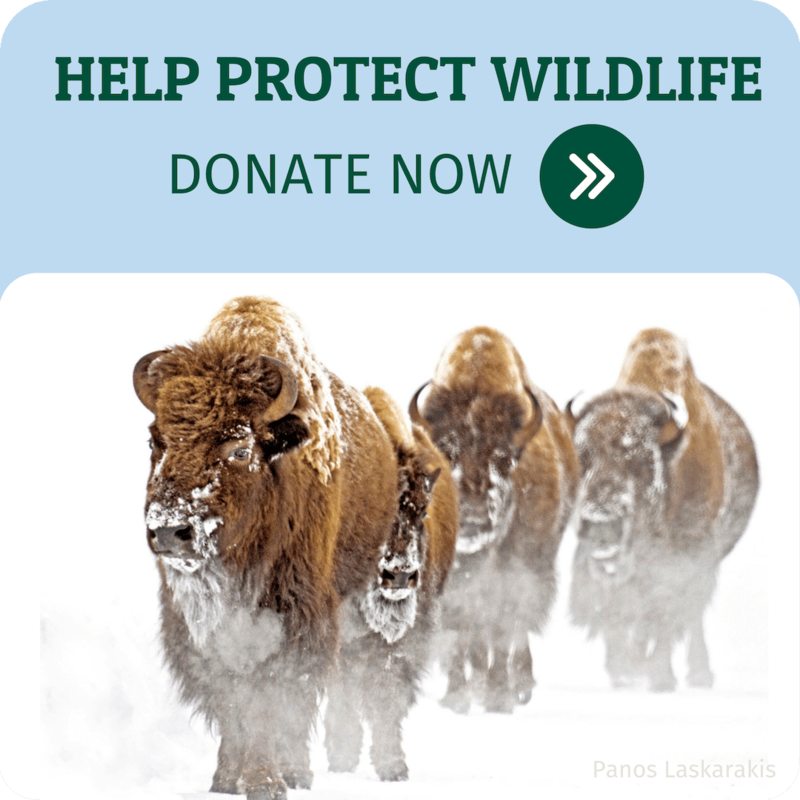 Donate to Protect Vital Wildlife and Habitats!